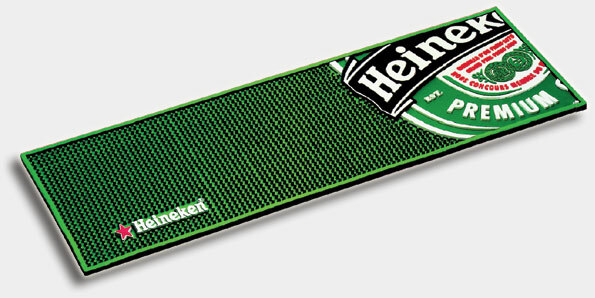 Description: Rubberized PVC bar mats are famous promotional items in the bar and restauration industry. They are widely used by all alchool brands in bars. These products are set on counters to dry glasses. You cannot miss them. Of course, companies must hold the brand's license make those items unless you make your own design.